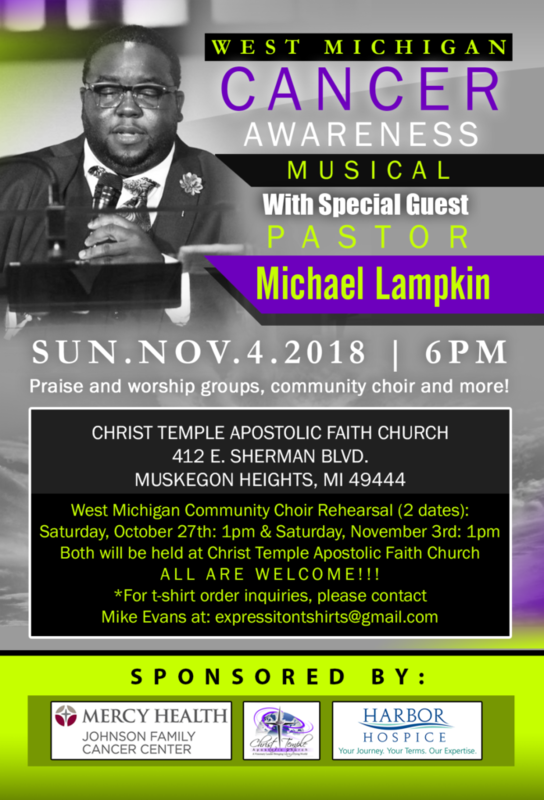 West Michigan Cancer Awareness Musical with Special Guest Pastor Michael Lampkin. A special evening of prayer, music, and awareness. For more information please call Lori at 231.728.3442. Free to attend and open to all our community. Harbor Hospice and Palliative Care, serving Muskegon, Oceana, Mason, Ottawa, and Newaygo counties.